Kaz Shiomi, who's an art director for Japanese Brand Kukkia, is the inspiration for Kiko+ & gg*. 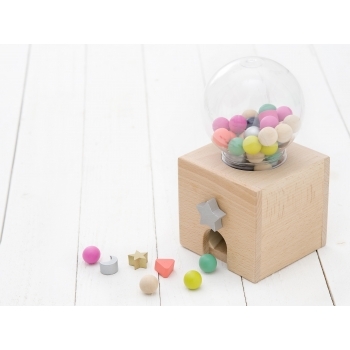 The brand - in Japanese "ko" means "child" and "ki" means 'wood - was first launched in 2011. 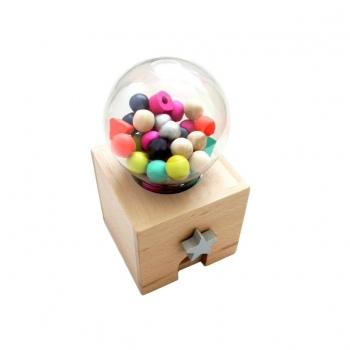 Kaz wanted to produce wooden toys with fun shapes and vivid colours in collaboration with various guest product designers. Kiko+ & gg* toy brand's theme is "art x play | play x children | children x forest". 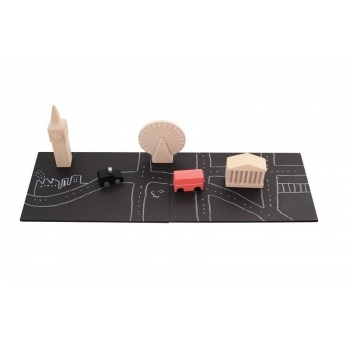 They are developing wooden toys, aiming at children around the World, to maintain a sound environment and forests, this is why they use wood from sustainable sources and are certified by the international organization FSC®. 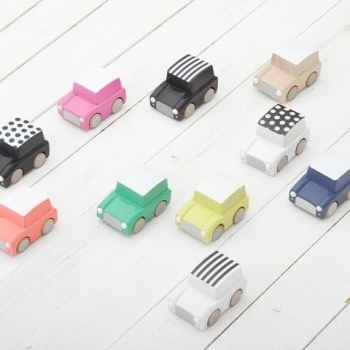 Your kid will instantly love the Kuruma wooden car. 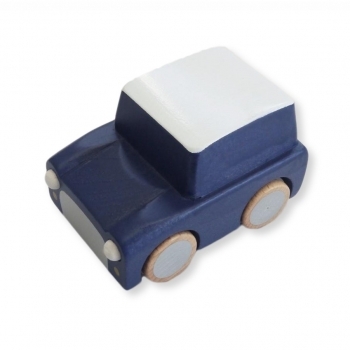 The beautiful classic car in navy blue has a friction motor, so just pull it back, and off it goes ! Perfect for smaller children. 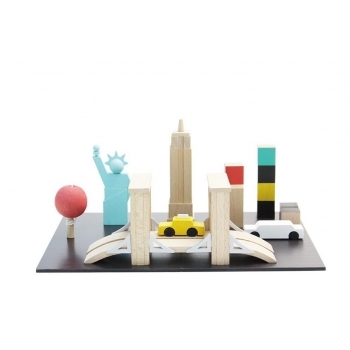 Your kid will instantly love the Kuruma wooden car. 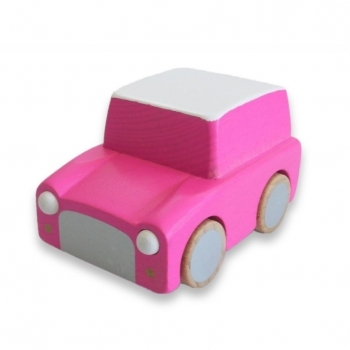 The beautiful classic car in neon pink has a friction motor, so just pull it back, and off it goes ! Perfect for smaller children. 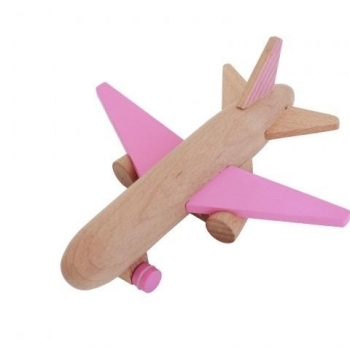 Your kid will have lots of fun with this beautiful pink jet plane made of beech wood. It has a retraction motor, so when you pull the airplane back, it is ready for takeoff ! 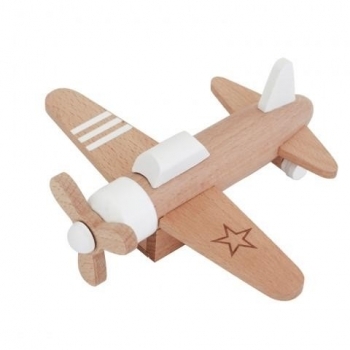 Your kid will have lots of fun with this beautiful white propeller plane made of beech wood. It has a retraction motor, so when you pull the airplane back, it is ready for takeoff !